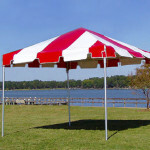 A party tent shouldn’t need a snow load rating, but the portable garage you are looking for should tell you what wind speed the structure is made to withstand. 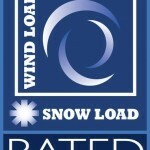 If you also get a lot of snow, you’ll want to look for the snow load capacity also. If you live in a harsh winter climate, you’ll obviously need waterproof material, but you’ll want more than just something to keep the water out. 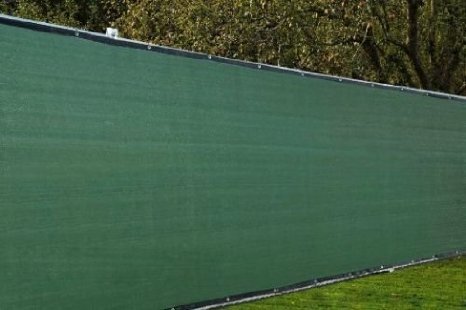 It will need to be tough material that can withstand the sun, wind, snow, and temperature changes that will assault it all winter long. 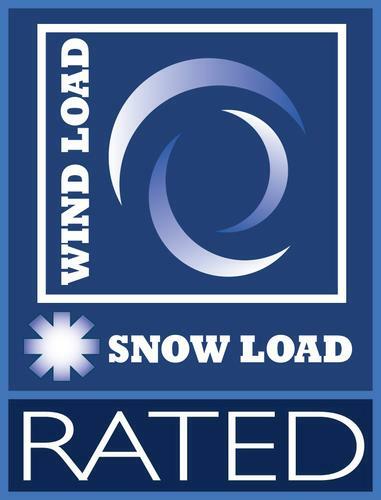 Our wind and snow portable garages use 14.5 ounce polyethylene, fire rated fabric that is also compliant with CPAI 84 Section 6 and NFPA 701. It isn’t enough to just slide the poles together and insert a tiny screw. 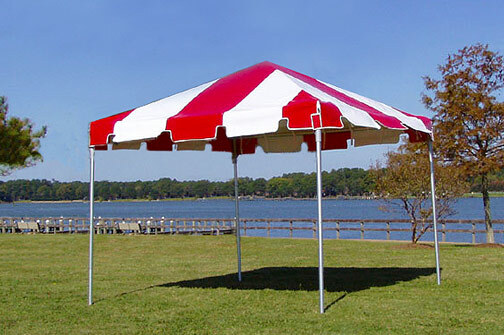 You need the shelter frame to stay together, even when the winds pick up. Our Shelter Tech SP shelters include Patented Steel ShelterLock stabilizers. These are used for every connection point in the framework so you are sure of a solid structure. All this durability and strength will be for naught if your garage blows away with the first breeze. You’ll need the proper tools and materials to anchor the shelter to the ground. All our shelters come with Universal Footplates and an Earth Anchor Kit. 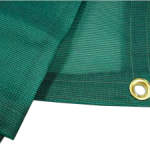 To learn more about our tarps, canopies, shelters and other products, please contact us. This entry was posted in portable garages and tagged portable garages, snow load shelter on November 9, 2015 by CanopiesAnd Tarps. 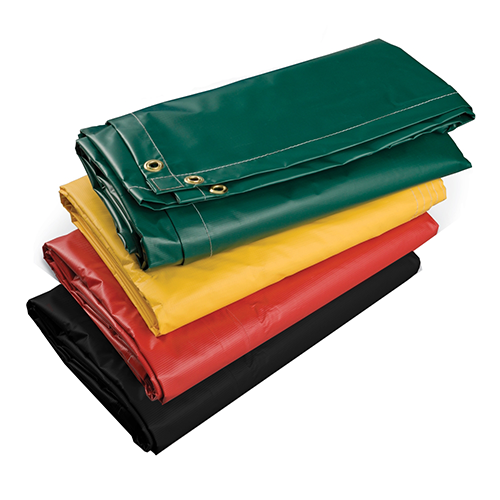 Emergency services use triage tarps to more efficiently help injured people during a crisis. By assessing a patients breathing, bleeding and shock, emergency personal can quickly identify the level of aid needed and divide patients accordingly. Originally developed as a system to more quickly and effectively treat wounded soldiers on the battlefield, triage is typically used in emergency rooms and urgent care centers to determine how quickly a patient needs to be treated. It is also used in mass casualty situations, such as natural disasters, shootings, or any time there are not sufficient resources to treat everyone at the same time. Green is for patients who need the least immediate attention. They are injured and will need treatment, but their injuries are not life threatening and so they will have to wait for treatment. Yellow is for patients who are seriously injured and in normal cases would receive quick medical attention. They are stable for the moment, but need to remain under observation in case their condition worsens and they need to be re-triaged. Red is for patients who need immediate treatment for life-threatening injuries. It is likely they will survive if they receive the attention they need. Black is for persons who have already deceased or their injuries are so severe or extensive they will not survive with the medical resources currently available. Our 12×12 tarps come in the standard green, yellow, red and black. 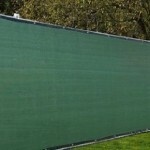 They are waterproof, UV resistant and have high abrasion resistance. 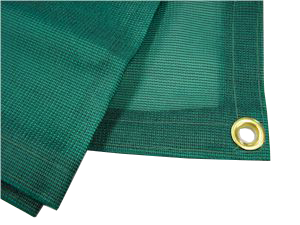 Grommets are spaced every two feet and hems are double stitched. The seams are heat sealed. This entry was posted in emergency kits and tagged triage tarps on November 9, 2015 by CanopiesAnd Tarps. The days are getting shorter quickly, and temperatures are getting cooler every day. It won’t be long until snow covers the ground. The fast approach of cold weather means that it is time to prepare your livestock for the winter months. 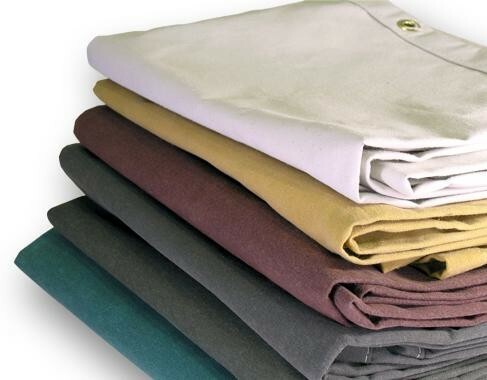 One of the most important things you can do to keep your horses, cattle, goats and other livestock healthy and strong this winter is to make sure that you have all the hay covers you need to keep all your animal feed safe from the elements. Wet hay and other animal feed can rot. If wet food is fed to animal, it can create illnesses that are difficult and expensive to treat. A small investment in hay covers now can save a lot of money in vet bills down the road. It is important to keep in mind that this fall and the following spring are likely to be even more wet than usual. The end of 2015 and the beginning of 2016 are marked by El Nino conditions. El Nino occurs every two to seven years. El Nino will lead to wetter conditions in many parts of the country. For this reason, your current solutions for keeping your animal food out of the rain may not be quite sufficient during an El Nino year. For more information on hay covers please contact us. 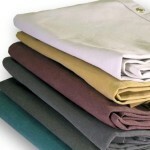 We have a huge selection of quality hay covers in a variety of sizes. 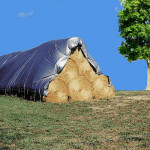 We have hay covers designed for round bales of hay and different covers designed for square bales of hay. 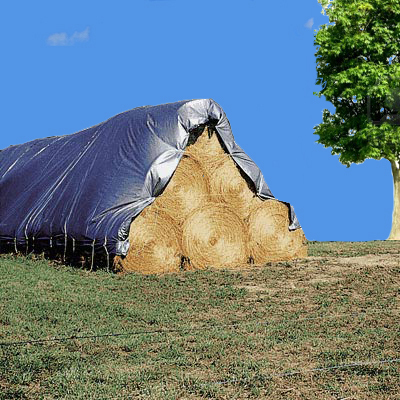 This entry was posted in hay tarps and tagged hay tarps on November 9, 2015 by CanopiesAnd Tarps.